A grand total of 131 Volunteering Awards were presented this year to the amazing volunteers who have completed between three and 25 years helping the region’s Hope House and Ty Gobaith Children’s Hospices. 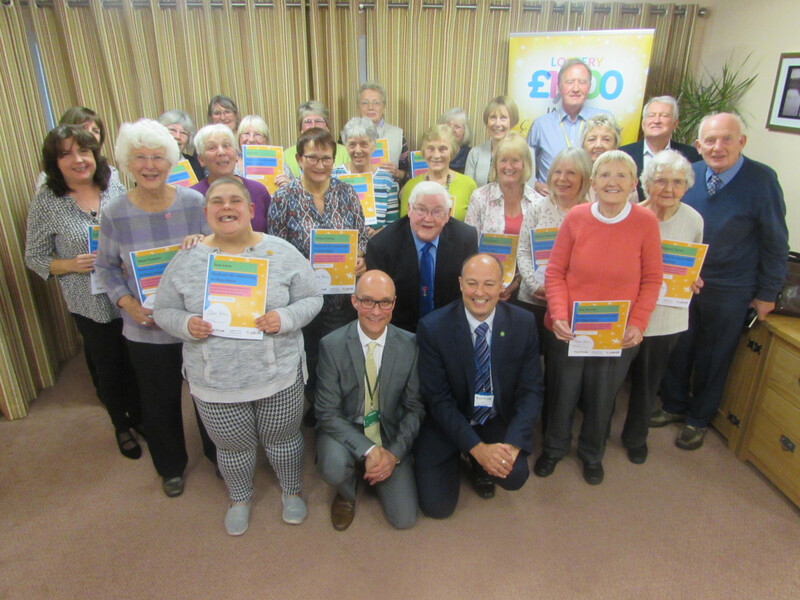 Chief Executive Andy Goldsmith and Chair of Trustees Steve Henly paid tribute to all the dedicated supporters who gave their time freely to help at Hope House in Oswestry and Ty Gobaith in Conwy, at the charity’s 14 shops across Shropshire, Cheshire, Mid and North Wales and out in the community fundraising. Andy said: “It was a small group of pioneering volunteers who came together in the early 1990s that raised the money to build Hope House. They dedicated themselves with skill, energy and perseverance to overcome many obstacles and make Hope House Children’s Hospices a reality. And that was only the start of the story. This year’s volunteers who were honoured included those from Bayston Hill Friends Group, Bridgnorth Shop, Bridgnorth Friends Group, Church Stretton Shop, Ironbridge Friends Group, Llanfyllin Friends Group, Ludlow Shop, Ludlow Friends Group, Oswestry Shop, Shrewsbury Shop, Telford Events Group, Wellington Shop, and Welshpool Shop, plus gardening volunteers, therapists and trustees at both hospices. To find out about more about current Hope House and Ty Gobaith volunteering opportunities please see www.hopehouse.org.uk/volunteer or contact Volunteering Officer Di Murr on 01691 679679.